We are a wholesale nursery grower with over 400 acres in production located in the heart of southern New Jersey. Our value added nursery stock means more profit for you. Our specimen plant material will surely "spruce" up any landscape from the White House to shopping centers to your own backyard. County Line Nurseries is a family owned and operated business. Started by Jules in 1986, his wife, Betsy, and daughters, Abby and Janice, now help him run the farm. 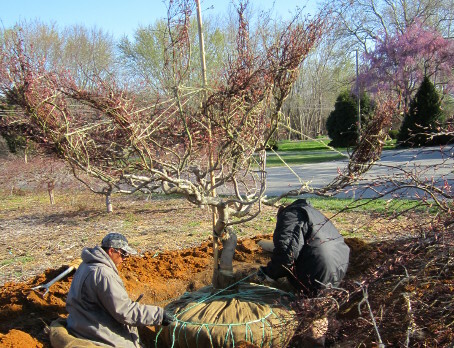 Our nursery is located in the heart of Southern New Jersey but we deliver to job sites and garden centers all over the country. Please feel free to contact us with any inquiry you may have. 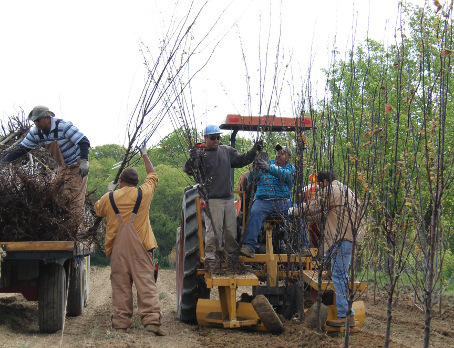 We maintain a wide inventory of production nursery materials and landscape plant materials at competitive prices. A full list of our stock can be found HERE. Other non-listed specialty material may be available as well so never hesitate to send us a quote. Used pots for sale, mostly 1 to 3 gallon, half price. Call for price. All of our field staff have 10+ years of experience and take the utmost care in preparing your plant material for shipment. We are incredibly diligent about watching market trends and planting new material you will need in the upcoming seasons. 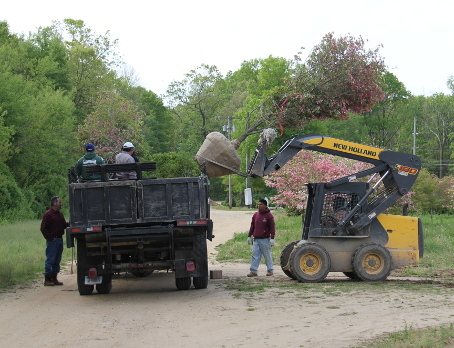 Our experienced staff will have your plant material loaded on your truck and secured as quickly as possible. Time is money and we refuse to waste either of yours! 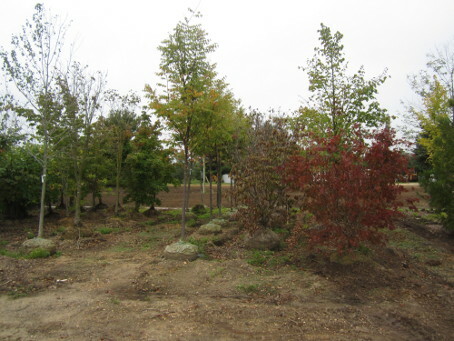 Our 20 acre stockyard has a variety of B&B material above ground to suit your landscaping needs in non-digging seasons. We also provide a variety of potted material to complete lists for jobs of all sizes.